Founded in 1970, Zober Industries is an 180,000 square foot custom manufacturing company in Pennsylvania specializing in the areas of printed circuit assembly, electro-mechanical assembly, CNC machining, sheet metal fabrication and complete engineering & design. The company is a one-source manufacturer with a unique approach to quality control. 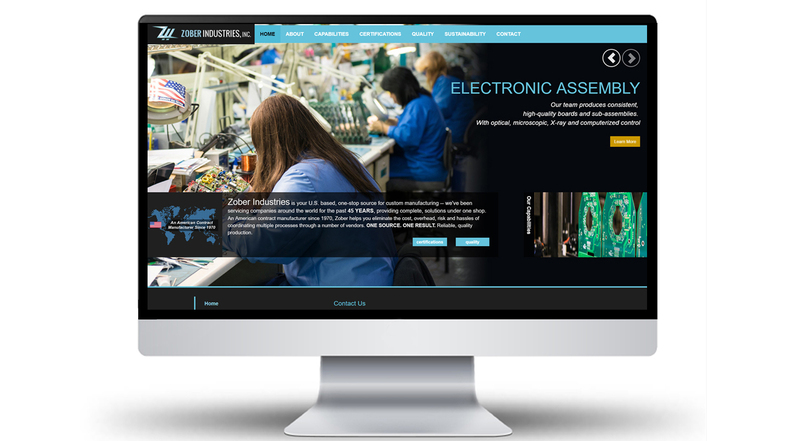 We completely reworked Zober’s online presence, with a modern, responsive WordPress site, and photographed the entire factory, highlighting their departments, machinery, and factory workers. We designed and developed Zober’s website to display their six main capabilities areas, with the high resolution photos of the facilities and equipment we took. 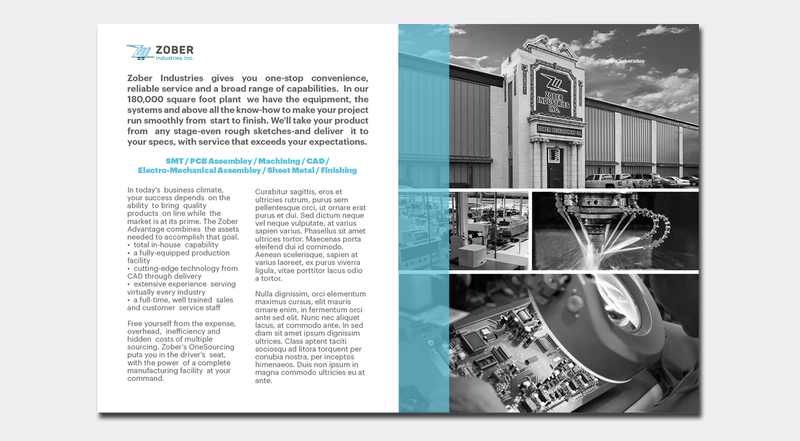 The site was planned to showcase the Zober facility and equipment through our high-impact photography. Separate pages include an extensive table of all of Zober’s equipment (with model numbers and precise specifications), listing of their certifications, and the company’s corporate and environmental sustainability policies. 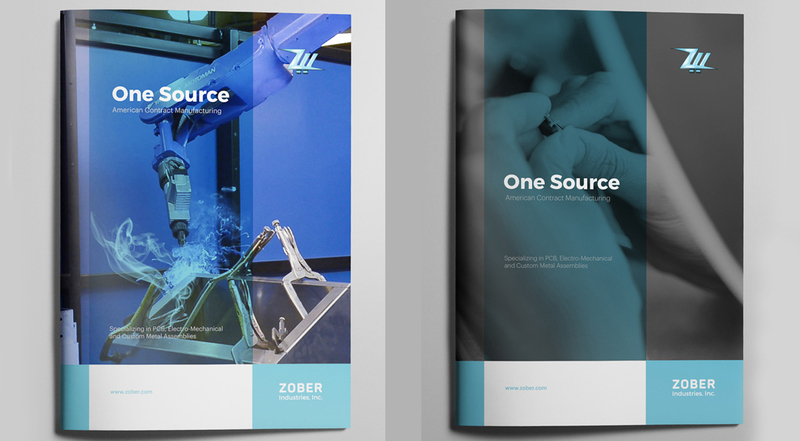 We also helped Zober Industries’ improve and modernize their marketing materials with a newly-designed capabilities brochure, highlighting the company’s extensive experience, diverse manufacturing capabilities, and scope of machinery. The company also needed an official policy on corporate sustainability and the environment, and we wrote and designed two short PDFs which reside on the website, providing this overview. 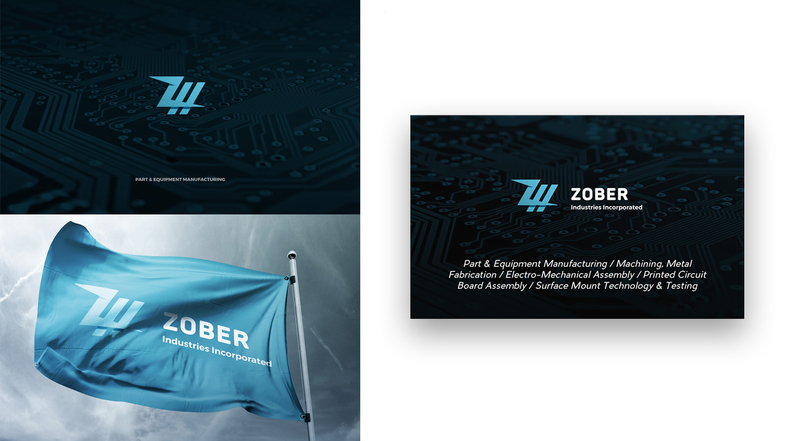 We also designed new business cards for Zober’s management team with an improved and modernized version of the Zober “Z” logo.